Halloween is still a month away, but since candy and costumes have already arrived in stores, I figure it’s not too early to get into the spirit of the season – especially since I’ve got a brand-new Halloween romance novella to introduce. 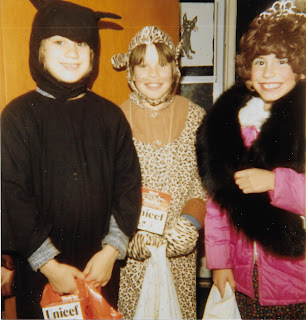 When I was a kid, Halloween was a much-anticipated holiday. My mother always made my costumes by hand, and I was extremely proud to wear them. I wish I had the time and skills to make my kids’ costumes like she did. I remember going with her to the fabric store to choose a pattern and material. 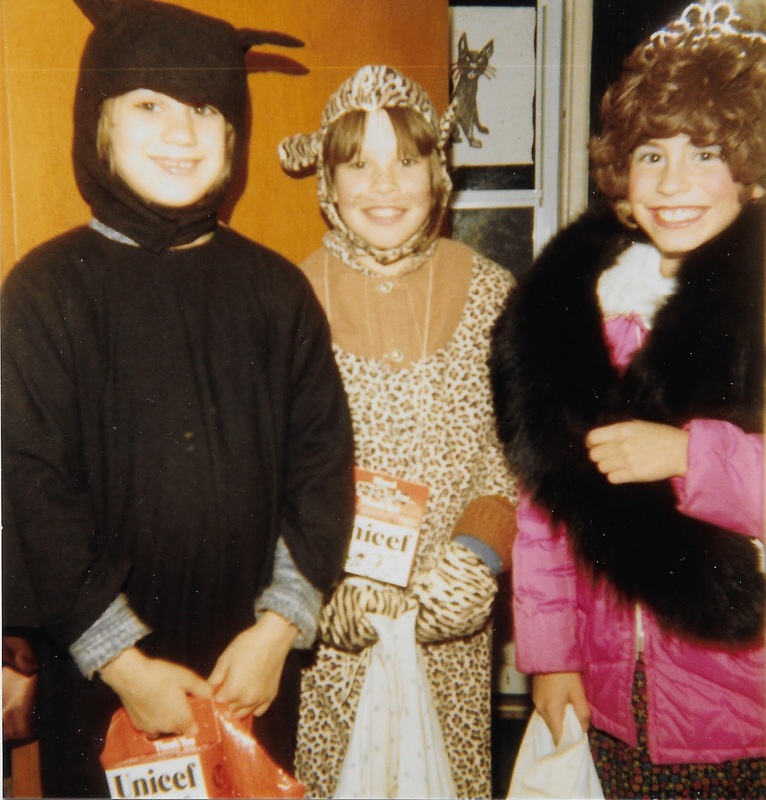 My favourite was the bat costume (pictured - me with my friends in 1980). My friends and I decorated pillowcases to hold our haul of candy. We spent a couple of hours trick-or-treating, hitting as many houses as possible before the neighbours ran out of candy and started shutting off their lights and/or we got too cold (if it was a chilly autumn). We loved the houses that were copiously decorated, and all the better if they had eerie lights and music. We always ended the night at my aunt and uncle’s house, where we’d sit by the fire and stuff ourselves with candy and roasted pumpkin seeds. After I got too old for trick-or-treating, I looked forward to someday taking my kids through the neighbourhood and re-experiencing the excitement through their eyes. My girls are ten and six years old now, just the right age to get the most from the celebrations. To this day, we continue the tradition of stopping in at my aunt and uncle’s house at the end of the evening. It just wouldn’t be Halloween otherwise. 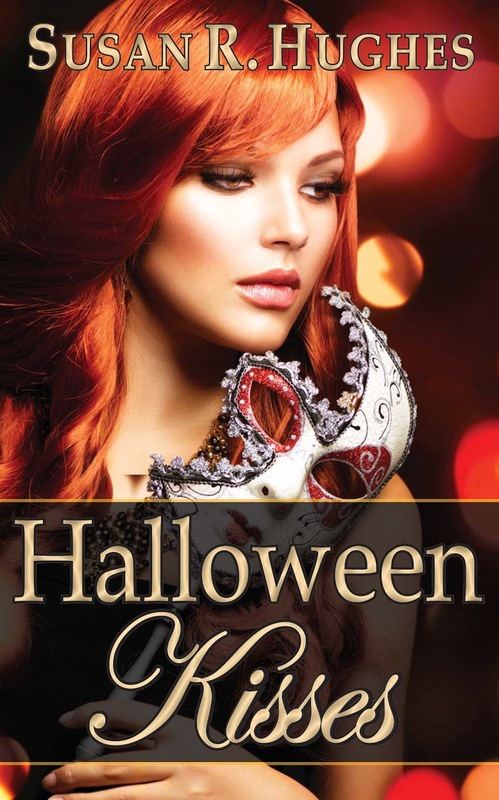 My new novella, Halloween Kisses, combines the magic of romance and Halloween. It’s available now on pre-order from Amazon for only 99 cents. One kiss can change everything. Dulcie has had a secret crush on her co-worker Rowan for ages, but she’s too shy to let him know, and preoccupied with raising her rebellious teenage sister. When she bumps into him in the darkness of a haunted barn, she can't resist stealing just one kiss. We always had homemade costumes, too. Some of them were really cool! Good memories.